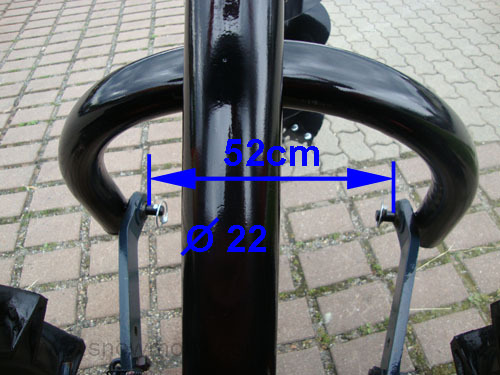 520,00 EUR 19 % VAT incl. 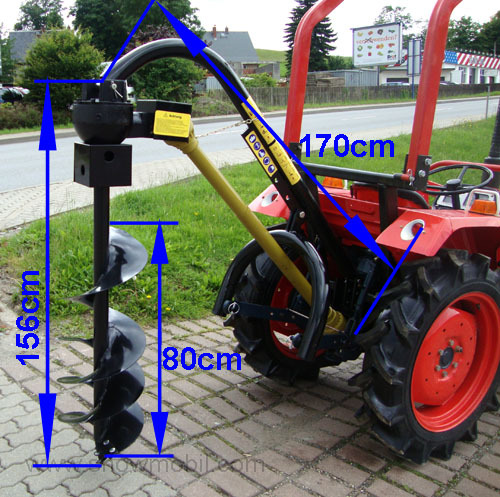 The small tractor from 10PS should have a rear three-point hitch KATI and a standard PTO 540rpm clockwise. 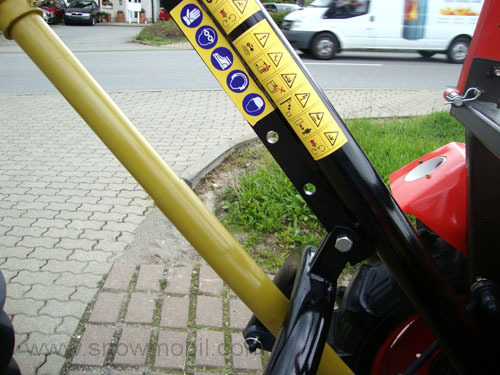 An adjustment on Kat II is possible for a surcharge of 100 € (see pictures). The ideal device for drilling holes etc. 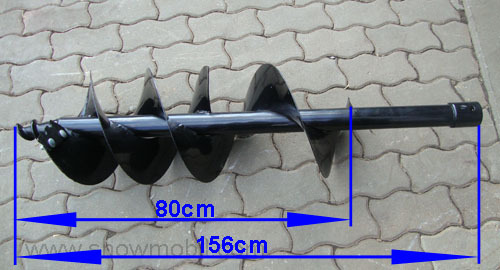 No fence pillars augers can drill into stone or rock. 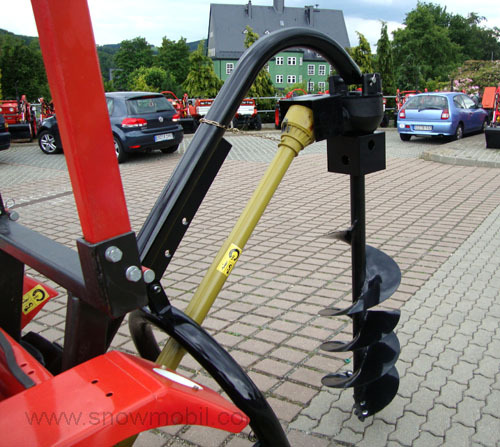 Every year we sell about 200 tractors in Germany. 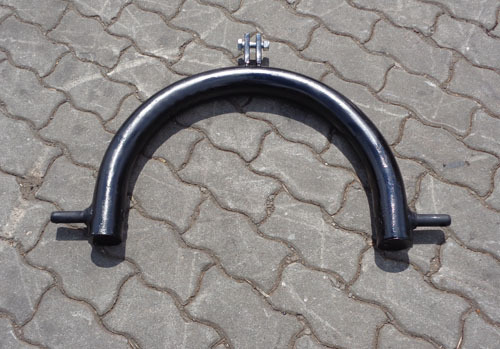 All Tractor Accessories are active used by our customers. Thus we have the best feedback regarding durability, quality, suitability, etc..
We buy only full trucks ex factory. 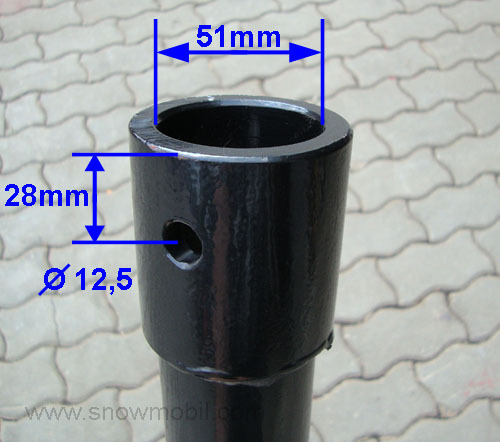 To the manufacturer, we can now report problems and obtain technical changes. We are not an Internet agency, which has no idea how their products work. 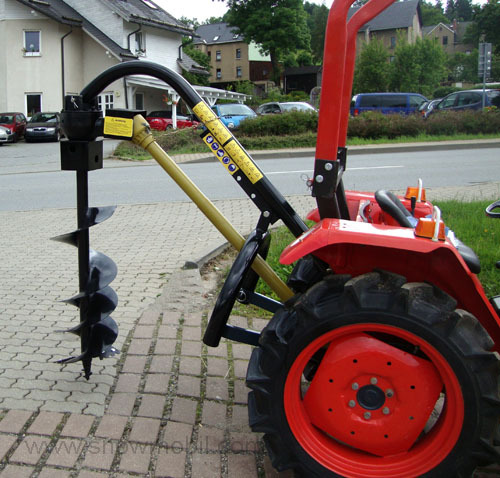 The PTO drives a large-sized gear. 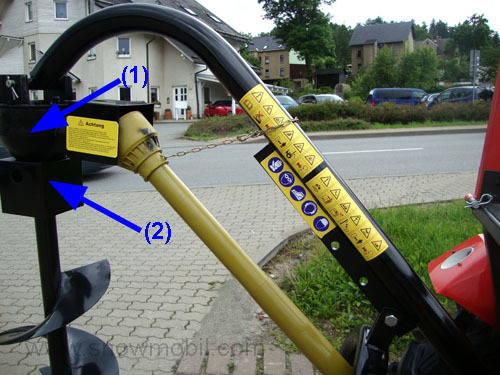 The auger is secured by a shear bolt on the transmission. 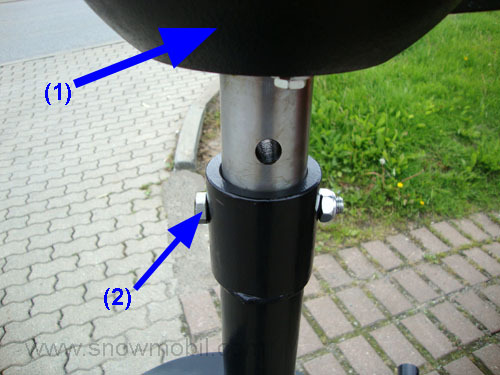 The shear bolt is a normal M12er screw. 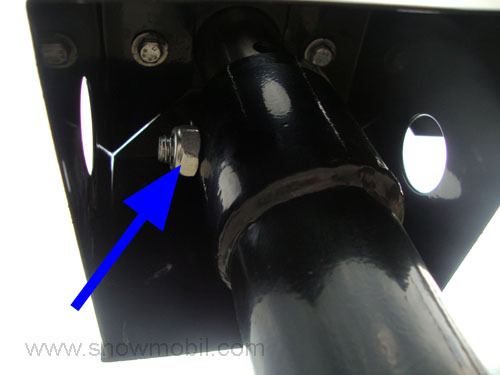 If the drill is entangled to an obstacle, then the shear bolt breaks and the transmission can not be damaged. An easy and simple solution! The Standard PTO is included. 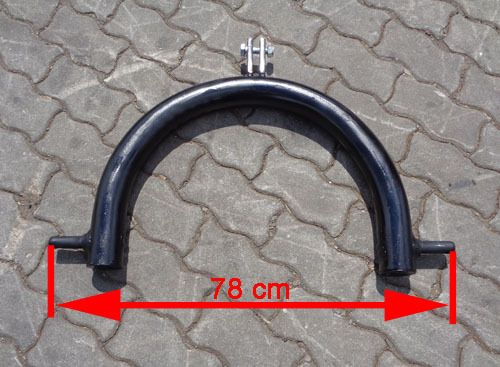 However, you can also buy a slip clutch for 89.00 euros. 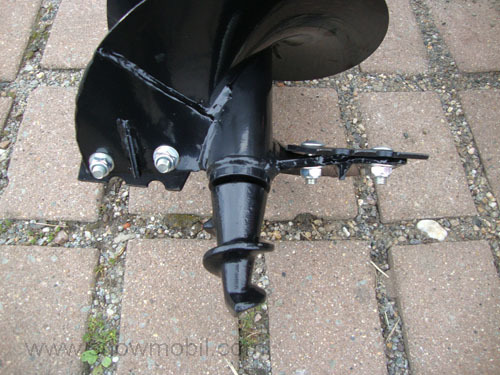 But no one knows what triggers, the slip clutch or rather breaking the shear bolt. 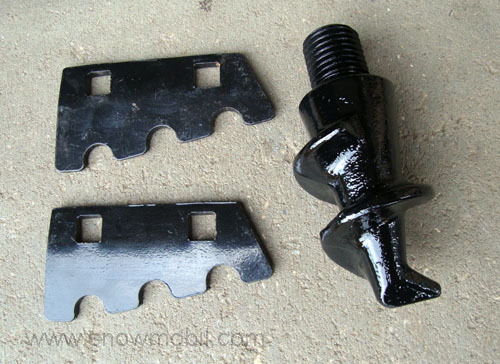 Actually, the shear bolt is completely sufficient! 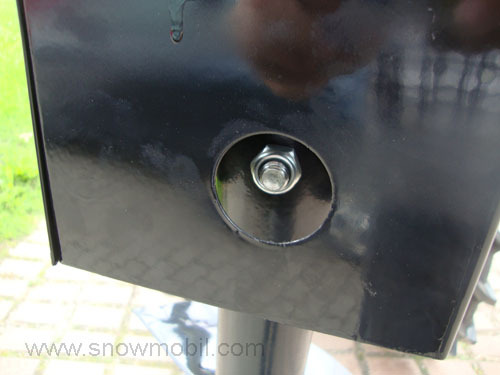 The screw blade has a standard replaceable drill tip and replaceable cutter.